When it comes to preparing quick meals, planning ahead makes all the difference. Instead of eating the last of the roast chicken, I like to tuck a portion into the freezer for a rainy day. One large chicken breast could be the makings of a taco dinner for two or a comforting soup, with the help of a little chicken stock. 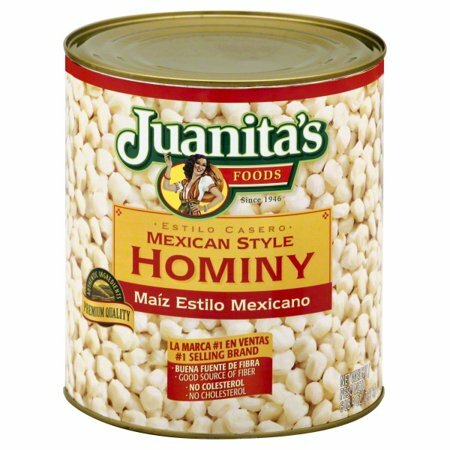 Hominy is another item that has plenty of applications. The same corn staple used for grits in the south, it’s a versatile ingredient used in hearty Tex-Mex breakfasts and serves as a wonderful addition in Mexican soups and stews. Markets often prefer stocking the jumbo cans, which could mean a lifetime supply—unless you are into menudo. So, when I spot the smaller 12-ounce cans I like to grab one or two for handy use later. If you happen to have those three ingredients on hand, pat yourself on the back. You have the basis for a tasty soup dinner that’s ready in less than 30 minutes. Zip it up with a heavy squeeze of lime to emulate the flavors of Mexico’s Yucatan; top it freely with a fresh cheese like cojita or a feta and garnish with cilantro or avocado. Add oil to soup pot over medium heat; when hot add onion and sauté for 1 minute to soften. Add the garlic and toss until aromatic; add the green pepper, oregano, and cook an additional minute. Add the chicken stock and the hominy and bring to a simmer. Add the chicken meat to the soup, season lightly with salt and pepper, cover and simmer about 10 minutes. 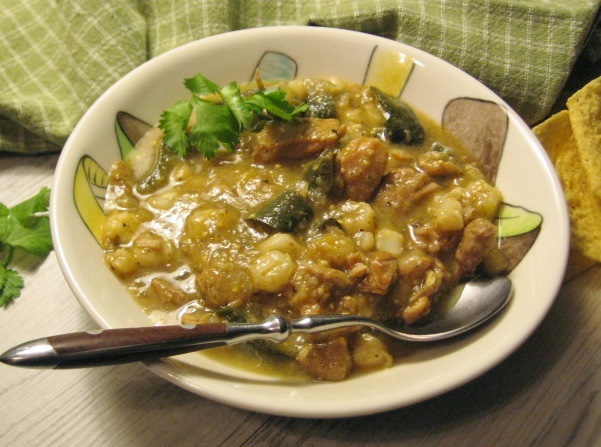 When ready to serve, season with about 1 tablespoon lime juice and add more to taste; it should be tangy. 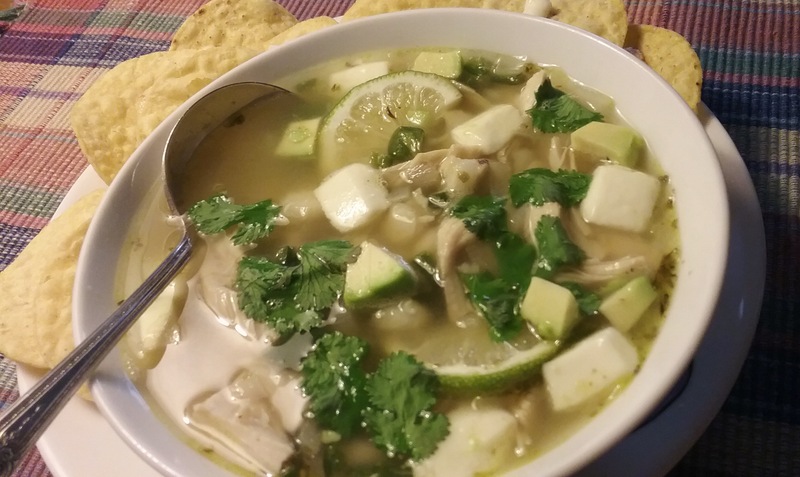 Serve in bowls with cheese cubes, cilantro, more lime, and additional accompaniments. Serves 2-4.